9-11 World Trade Center Knife. 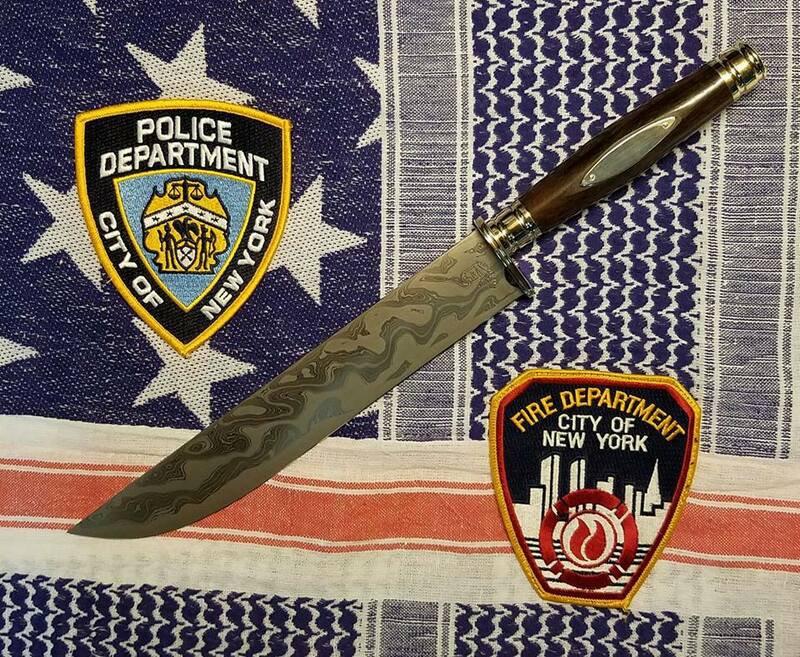 The Damascus steel used on this knife was made from a beam from the North Tower of the WTC. Custom made by Dan Graves. This is one of my favorite knives in my collection. Knife is not for sale, just wanted to show it off.